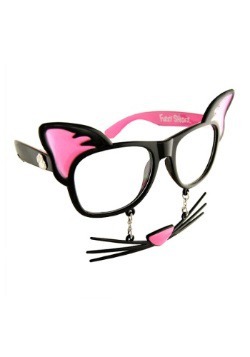 If a black cat crosses your path, it’s super bad luck. Why? We don’t know. Actually, in looking it up, nobody seems to have a real clear idea why that superstition persists. Some ancient cultures thought black cats were lucky. Hmm. Some Scottish groups have a mythical black cat creature that stole dead people’s souls...maybe that was where the origin story began! But you have two black cats, and they’re as sweet as can be. You know, we think it’s probably time to turn that superstition on its head. 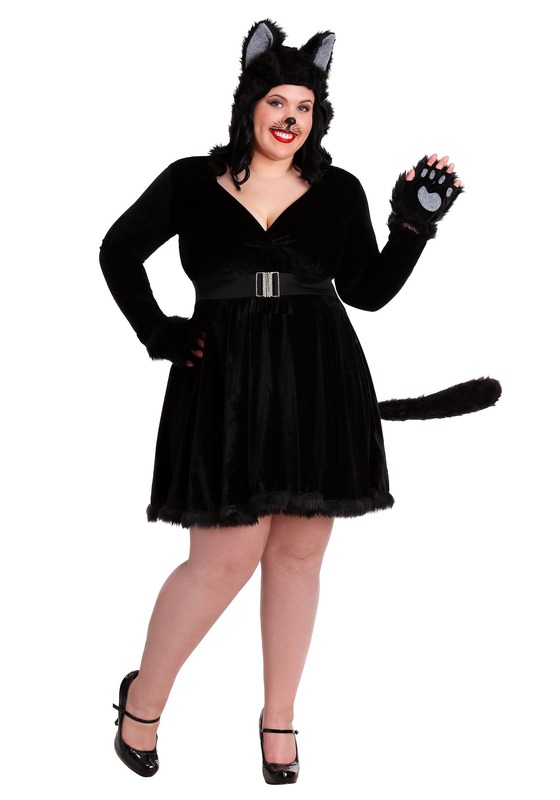 Put on this Womens Black Cat Plus Size Costume and start convincing everyone that black cats are perfectly wonderful! You can even tell everyone that King Charles I had a black cat that he considered lucky. And the day after the cat died, he was arrested for treason and beheaded. Seems to us that that had to have been a pretty lucky cat. With your help, black cats will finally get to have their time to shine again. 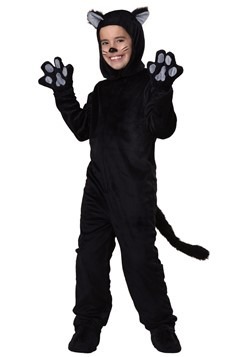 This feline look features a velvet-hooded dress, with faux fur lining the edges of the hood, bottom of the dress, and along the attached tail. Fun fingerless gloves secure around the wrist and have paw details on the front. The ears are attached to a headband which slides through slits in the hood in order to stick through when the hood is pulled up. The included belt has a silver slide closure and adjusts for comfort. 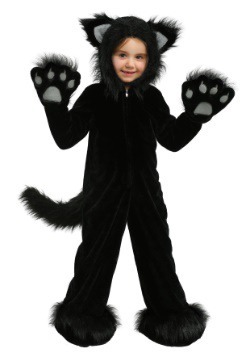 With this on, no one will question that black cats can be benevolent creatures who are just minding their own business when they cross your path. No longer will a black cat be bad luck! Spread the word! They may scamper and startle every once in a while, but they’re certainly not witches or demons, and maybe, if your lucky, they can be a good omen instead. Great job helping open up everyone’s eyes to the silliness of that superstition.